I’ve already mentioned one of my reasons for being wary of the Hannibal TV series, but I was also a little put off by the male-dominated cast… so kudos to showrunner Bryan Fuller for gender-swapping a couple characters from the novel on which this show was loosely based (Red Dragon by Thomas Harris), to help balance things out a little. First up was psychology professor ‘Dr. 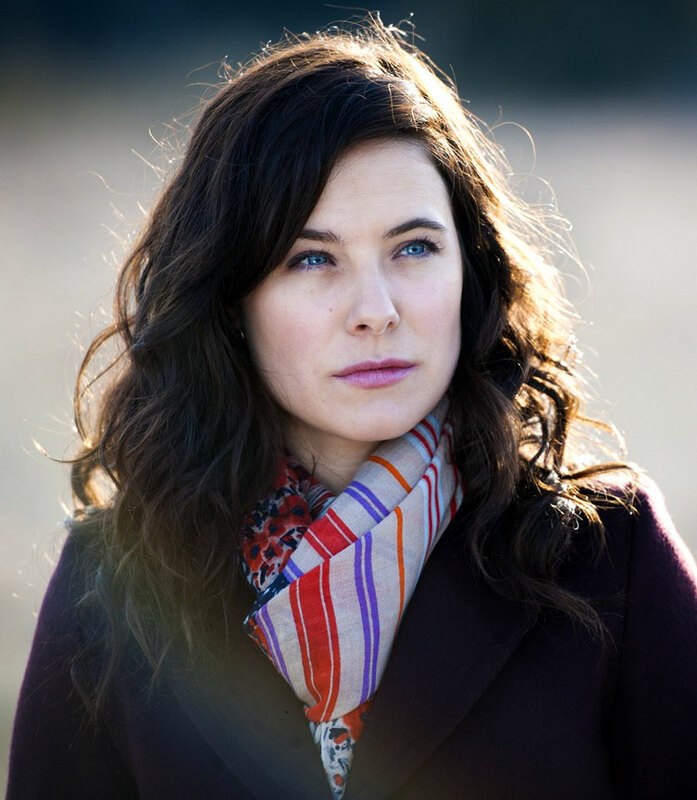 Alana Bloom’ (Caroline Dhavernas), who in a lesser show might have simply been a “love interest” for the show’s hero, FBI consultant ‘Will Graham’ (Hugh Dancy), but here retains her autonomy and “professional distance” from a man she diagnoses as too unstable for any kind of healthy relationship. She also gets some fantastically feisty scenes arguing with Graham’s boss, Special Agent-in-Charge ‘Jack Crawford’ (Laurence Fishburne)… though obviously she does lose some points for being so chummy with her former mentor, ‘Dr. Hannibal Lecter’ (Mads Mikkelsen), and not spotting him for the creepy cannibalistic serial-killer he really is. Stop eating his food, woman! It’s people!! IT’S PEOPLE!!! That disappointing lapse aside, Alana’s a great character, and Dhavernas is very winning in the role, so I’m glad Fuller kept her details in his address-book after Wonderfalls went down the tubes. Next up was ‘Fredricka “Freddie” Lounds’ (Lara Jean Chorostecki), an unscrupulous crime “journalist” with a prominent website, who cheerfully defames Graham and compromises several investigations, much to Crawford’s consternation… which made her quite a fun antagonist, even if she exhibited similarly poor judgement when it came to spotting the saner of two crazies (eps #1.2-3/6/9/11-12). 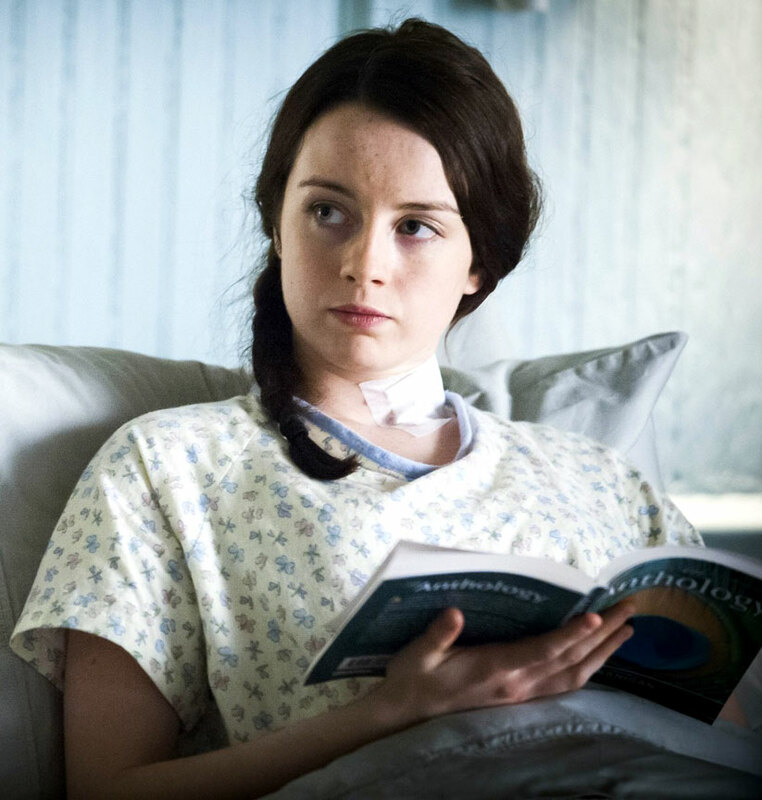 Meanwhile, there was also a high calibre of actresses in supporting roles: Kacey Rohl appeared throughout the season (eps #1.1-4/7/9/12-13) as ‘Abigail Hobbs’, the distraught daughter of a cannibal/killer who used her to bait his victims, as a way of saving her own skin (and other vital organs). I enjoyed Rohl’s comedic turn in Working the Engels, but here she gets to go a lot darker and deeper, and I was very impressed by her performance. At this point her character is “missing presumed murdered”, but I notice she’s credited for a couple future episodes, so I’m guessing she returns in the form of a ghost/vision? Gillian Anderson appeared in five episodes (#1.7-8/11-13), as Lecter’s personal therapist of choice, ‘Dr. Bedelia Du Maurier’… and it was great to see her again, playing such a smart and sophisticated character… but I couldn’t help wondering how long it would’ve taken Agent Scully to spot her patient for the monster he really is! Of course, in her case, he probably would have been a literal monster, with stretchy limbs and funny eyes or something, so it probably isn’t a fair comparison. 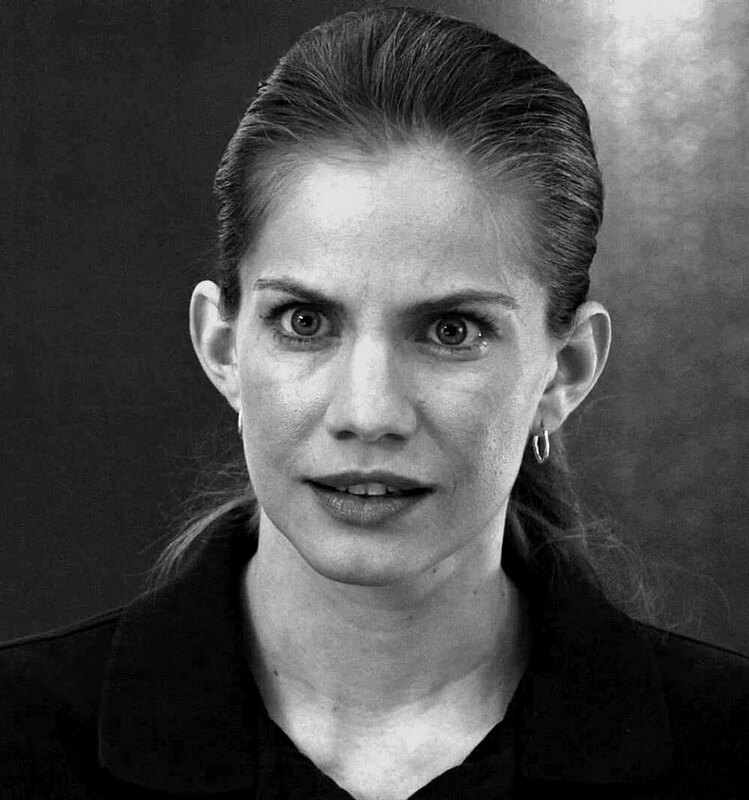 Anna Chlumsky appeared in several black-and-white flashbacks (eps #1.6-7) as ‘Miriam Lass’, an FBI agent-in-training, who Crawford “lost” to the Chesapeake Ripper (aka Lecter), back in the day. What a waste! Of all the characters we met this season, she came the closest to uncovering the eponymous psychopath’s secret identity… though ultimately she didn’t live long enough to share her insight with anyone (as far as we know…). Ellen Muth appeared in 2 eps (#1.10/12) as ‘Georgia Madchen’, a young woman afflicted with the delusion that she’s already dead, as well as an inability to see human faces as anything more than a vague blur… which, again, is rather pesky since she actually caught Lecter red-handed at one point, but then confused him with Graham! Gah! I’d been looking forward to Muth’s cameo since the start of the season, but then (ironically?) I didn’t recognise her when she first appeared on-screen! In my defence, she was lurking in the shadows and wearing heavy “zombie” make-up… so it was only the name that tipped me off, after I made the connection between her character here, and the one she played in Dead Like Me. 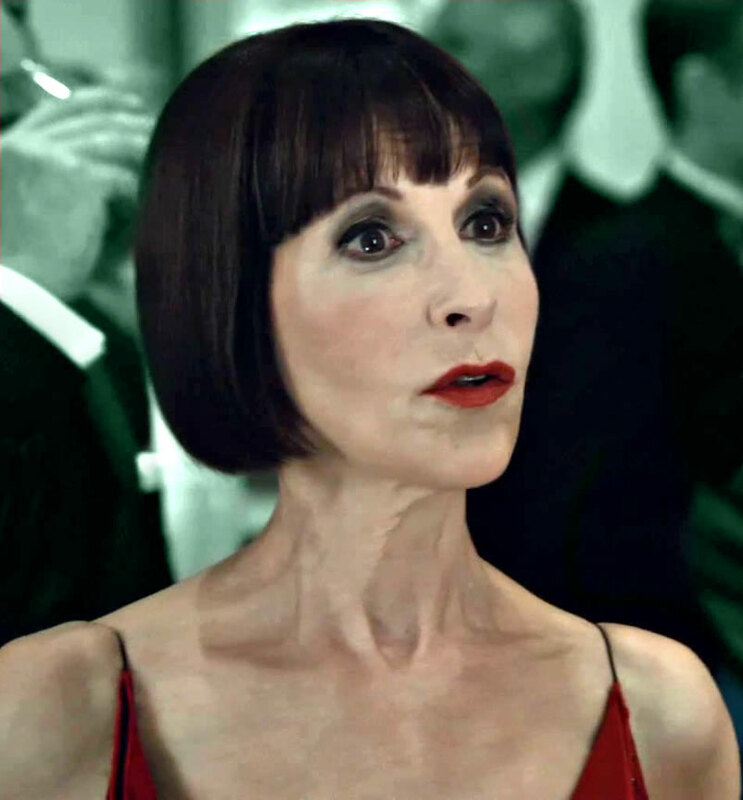 Gretchen looked a lot better (i.e., more human) in her second episode, after she’d had the chance to heal/clean herself up… but sadly, Lecter couldn’t risk leaving her alive, so she ended up as a crispy-cooked corpse. Boo! This entry was posted in Rants about TV and tagged Abigail Hobbs, Alana Bloom, Anna Chlumsky, Bedelia Du Maurier, Bella Crawford, Caroline Dhavernas, Dead Like Me, Ellen Greene, Ellen Muth, Freddie Lounds, Georgia Madchen, Gillian Anderson, Gina Torres, Hannibal, Hettienne Park, Kacey Rohl, Lara Jean Chorostecki, Miriam Lass, Molly Shannon, Mrs. Komeda, Working the Engels. Bookmark the permalink.